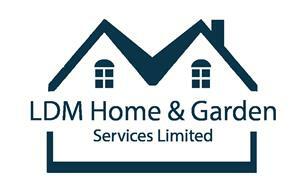 LDM Home & Garden Services Ltd - Carpenter, Home Improvements, Painter/Decorator based in Badersfield, Norfolk. LDM painters and decorators are a dedicated, qualified and highly experienced team of painters and decorators covering the whole of Norfolk and Norwich. At LDM Painters and decorators we Are passionate about, quality efficiency and above all, customer satisfaction. This is echoed by our many happy customers who have taken the time to leave feedback on checkatrade.com and google. So if you are looking for a reputable painter and decorator in Norwich covering the whole of Norfolk you have come to the right place. We advise you spend a little time learning about our business and all it has to offer by having a browse through our website. When your ready give Lee a call, or fill in our contact form on our website. We look forward to hearing from you! See below a few reasons why we think we are a good business! At LDM Painters & Decorators we care about quality and efficiency. Our aim is to provide the highest quality service at a reasonable cost. Alongside this all customers benefit from the efficiency expected from an experienced and professional team. If your looking for an experienced, painter and decorator, you have come to the right place! LDM Painters and Decorators are a team based painting and decorating company. Being an experienced and efficient team we are able to provide our customers with a reliable and efficient turnaround. We are able to do this whilst also maintaining the highest quality of work possible. This is beneficial for our domestic painting and decorating customers, who benefit from their homes being returned back to normality as quickly as possible. Our high level of efficiency and quality is also a crucial quality for our commercial clients; who rely on a company who they can depend on to deliver the best results as quickly as possible and on schedule.